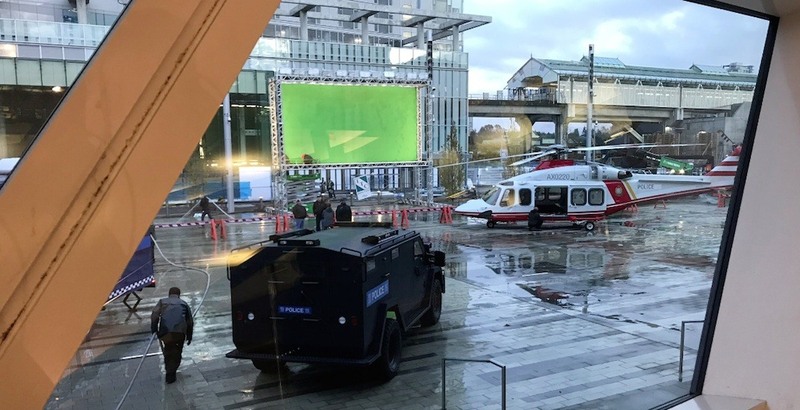 Civic Plaza outside Surrey City Hall was transformed into the set of Skyscraper, which stars Dwayne ‘The Rock’ Johnson. 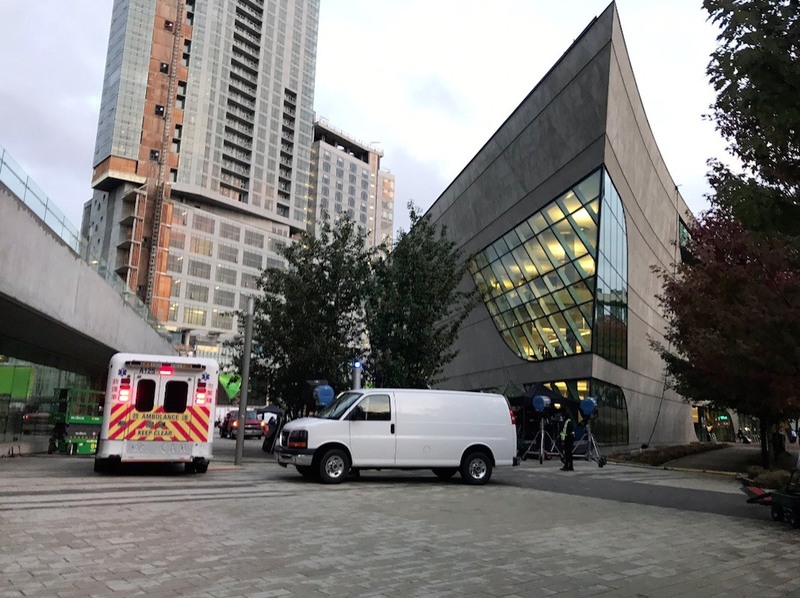 Filming occurred Friday and Saturday on the plaza, and involved turning the public space into an emergency services set. 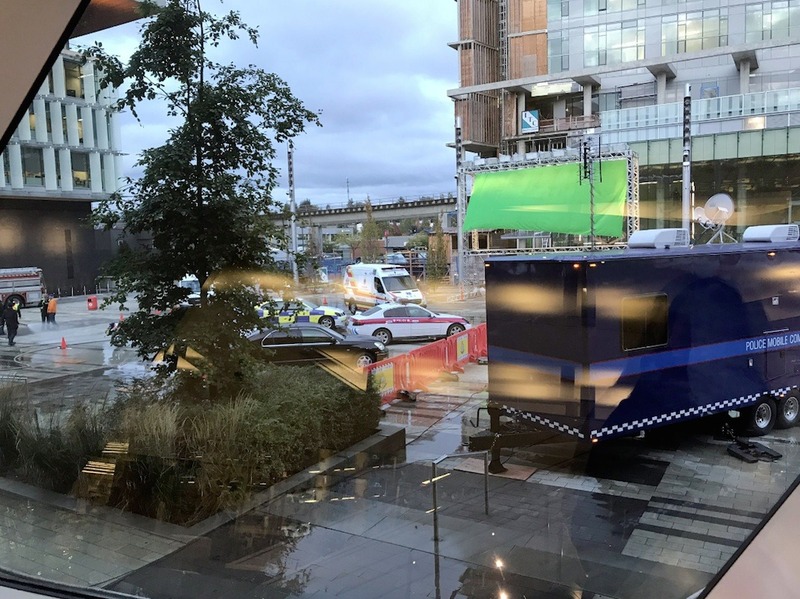 Fake police vehicles, ambulances, and even a helicopter were spotted on the plaza. 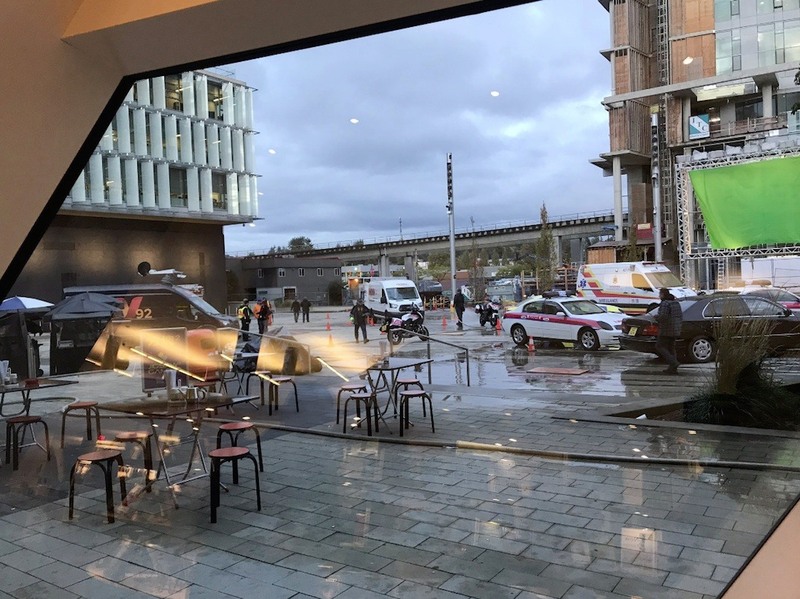 It is unclear whether any filming occurred inside the under-construction Civic Hotel, which opens next month. The big budget action film is set in Shanghai where there is a crisis at a super-tall skyscraper. Johnson plays a former FBI hostage rescue team leader and US war veteran who must save his family. Johnson is known to be one of Hollywood’s most fan-loving stars. He took a photo with a small group of waiting fans shortly after midnight on Friday at the Civic Plaza set. He is also no stranger to Vancouver, and has expressed his love for the city publicly over numerous occasions. Skyscraper will be released in theatres on July 13, 2018.